The gunners are on an unbeaten run of 17 games and they will be hoping to increase that good form by getting a win against Vorskla in Ukraine on Thursday as they wrap up their UEFA Europa League group stage matches. Unai Emery is expected to travel with a squad consisting many young players since they have already qualified for the UEFA Europa League round of 32. Arsenal collected three points on Sunday at the Vitality Stadium and they have already hit the ground running this morning to prepare for their next match which will be against Ukrainian side Vorskla who are in the fourth position on the Ukrainian Premier League table. 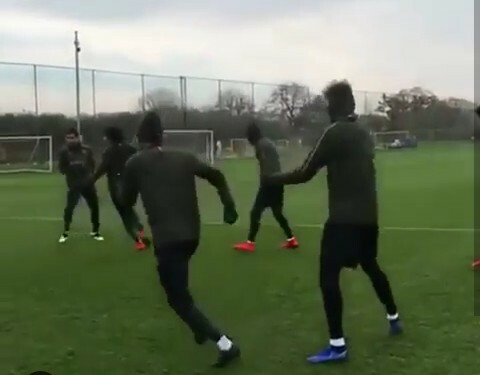 Arsenal tweeted a clip of its players training at the London Colney and it seems Unai Emery has called in some youngsters to join the training session, meaning he will be travelling with them this week when they set off for Ukraine. Even though Unai Emery invited some youngsters to the Arsenal first team training, most of the senior players are also taking part in the training session but maybe they will train to stay fit but don’t travel along the team. Arsenal fans don’t want Unai Emery to use his experienced players against Vorskla because they have already qualified and most importantly, they are facing Tottenham Hotspur on Sunday.